Usagi is feeling depressed over the loss of Ami and Rei so Chibi Usa tries to cheer her up with her Luna P ball. The next day, Chibi Usa follows Usagi to Crown Game Center where the two try to win at the UFO catcher machine. They lose, however Motoki gives them both a Sailor V toy. 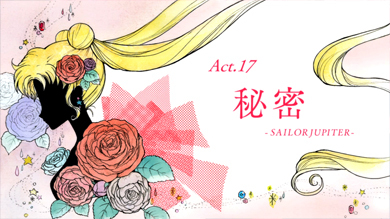 Chibi Usa leaves and Usagi follows the girls down into the Command Centre where they discuss Black Moon and their possible mission to capture Chibi Usa. Later that day, Chibi Usa walks around the city by herself feeling lonely. She recalls the voice of a friend of hers and uses her umbrella to make doves magically appear. A little girl sees this and tells her mother but her mother ignores her. Mamoru sees Chibi Usa and touches her on her shoulder. He suddenly sees a vision of Chibi Usa in a mysterious city under attack. In the Black Moon UFO, Rubeus sends another member of the sisters, Petz to find Chibi Usa (who they call “Rabbit”) and destroy their enemy. The next day, Mamoru meets Luna and Usagi in Fruits Parlor Crown and shows them Luna P which had apparently broken due to the recent thunder storm activity. Mamoru’s classmate Asanuma, who happens to be sitting at a nearby table, overhears them talk about Rei and Ami being kidnapped and sees Luna talk! Soon afterwards, Asanuma runs into Makoto. She’s feeling sick so he walks her back to her apartment. Once there he tells her about what he overheard and asks if she and her friends are even human. She tells him the truth about what they are and he promises to keep their secret. After he leaves, Makoto collapses from her fever and a Droid appears and attacks her. Makoto manages to tell Usagi that the enemy is in her apartment so Usagi and Minako run there as fast as they can and transform. Makoto also transforms and defeats the Droid. Sailor Jupiter flies up into the stormy sky and confronts Petz and a legion of Droids. She manages to attack them all with Flower Hurricane and Sparkling Wide Pressure (both used for the first time!) but is weakened from the virus (which is revealed to be a Black Moon creation) and captured. 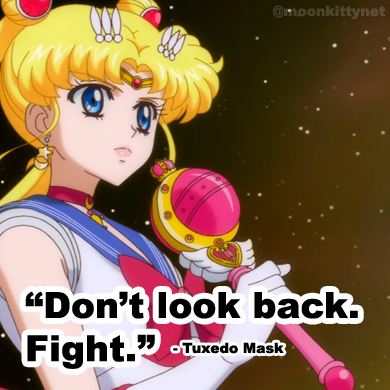 Sailor Moon destroys Petz with Moon Princess Halation but Rubeus still escapes with Sailor Jupiter. 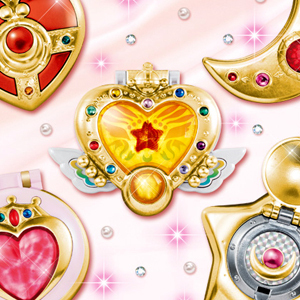 Sailor Moon and Sailor Venus are now the only Sailor Guardians left! While Sailor Pluto isn’t seen in this episode, this was the first time we hear her voice. 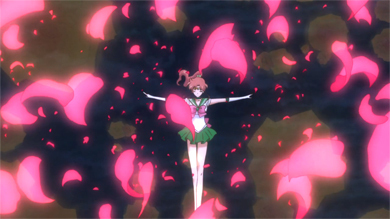 Sailor Jupiter used Flower Hurricane and Sparkling Wide Pressure for the first time in this episode. Interesting parallel between Usagi playing on an UFO catcher and her friends being captured by real-life UFOs. While seeing Luna talk is a big deal, in the manga Asanuma also saw Mamoru use some of his Earth powers which is one of the reasons he doesn’t go completely crazy when talking about everything with Makoto later on. He’s been seeing weird stuff for a while. Not confirmed one way or the other, it is possible that Makoto being sick actually created the thunderstorm in this episode. Her body was already exhibiting signs of electrical malfunction due to the virus. It would make sense if her powers were messing with the weather too.